Sometimes, I bound through this thing called life, my knees high, head higher. The sky seems bluer on such days, the clouds puffed to cotton wool perfection, the birds swooping for the sheer hell of it, and me smiling beneath. I like to smile. We all used to, I think! I pray the good times will last and that regardless of the season, the colours of creation enhancing each in their changing, everyone, but particularly me, will know contentment. Contentment is something hard earned but achievable. At least, it should be. When one allows oneself to slip into this torpor we call happiness it is invariably the time the scenery will change. Who removes one backdrop and replaces it with another is debatable, changeable even, but as regular as clockwork. One cannot allow too much happiness; the world must be reminded of such things. Who makes this decision to subdue, to make the buoyant flag and those once exuberant knees sink below the waist, to bend, crawl and drag, who knows? Arms will fall limp, shove inside trouser pockets to finger the lint and never reappear, life will turn hard and we the little people will suffer. At these intersections in time, I frown, my smile petering out as though a river breaching its banks and all the accumulated joy drains from my soul. Like a deep breath released too soon, I deflate without time to take in the necessary oxygen to reinvigorate. I don’t like such times. Does anyone? I am a person who likes to either be in control or to be controlled by choice. There is a certain reassurance in knowing someone has your back, watches out for you, cares. When one reaches a certain age, realises their mother and father won’t keep the demons at bay and that the nightmares they pretended to expel are in fact more real than childhood could ever perceive and the lack of direction they gave is a lacking you will carry through the rest of life, it is hard. You don’t want it to be so, but it is. I don’t think anyone does, do they? And so it is you wake up one day, the lines cut, your celestial strings draped over the bedpost. You don’t have the strength to lift your arms, legs or even your head, and no one is going to help you. It doesn’t have to be this way. I don’t think it ever was, was it? 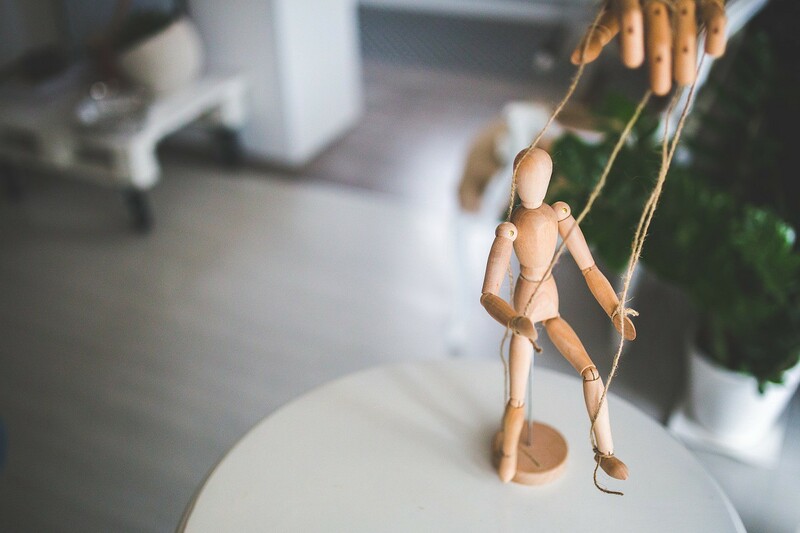 This marionette life requires a good puppeteer. I think we all deserve to at least breathe freedom through clean, expanded lungs whilst thinking it our choice, or at least with the knowledge those controlling us want that too. Do we have that? I’m no longer sure and that saddens me. I don’t like being sad, my strings cut and face downcast. Do you?